John Dawe has been a victim of identity fraud a few times, which he believes came about because his personal details are published on a few websites. "I work in finance now, and used to be a director. Because of that, my name, address and date of birth were all in the public domain," says John, 50, who lives in south-east London. "I've had people use my identity in a number of fraudulent ways over the years, generally opening a bank account in my name. "All someone had to do was photo-shop someone else's utility bill and put in my details, at least that's what I'm guessing," he says. The latest fraud, John says, happened after he got a computer-generated letter from his bank saying that he had two direct debits opened in favour of two different mobile phone companies. Basically, fraudsters had used his bank account to set up mobile phone contracts in his name and defrauded the mobile phone companies out of several thousands pounds. "I tried immediately to get hold of the bank to say this is the first I had heard of it, and that somebody was trying to do something unauthorised with my name," John says. "It took me forever to get hold of the people at the bank on the phone, so I ended up going to the branch down the road, where actually they were very helpful. "I eventually sorted things out, and they put a block on the bank account, and closed it down. They seemed to be responsive to me, but what they did not stop were the automated responses coming through. "They were letters saying there were not sufficient funds in my bank account to pay the direct debit, and that I was over-drawn as a result." John also attempted to contact the mobile phone companies to alert then to the fact that there had been an identity fraud. "Getting hold of these phone companies to stop what was going on was as bad as getting through to the bank," he says. "Although I told them about the fraud just as soon as I discovered what was going on, one was rather slack in responding to the information I gave them. "And the next month one of these refused direct debit notices was for more than £1,000! It was such a waste of money, and although I was not held responsible, I don't know if the mobile phone companies ever got the money back," he says. 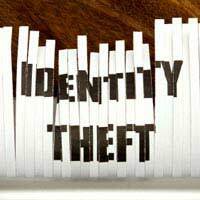 John believes that in this case, the fault lies with the bank, as they let the identity theft fraudster open an account without showing proper identification. "The bank let someone open an account without bothering to verify the details some crooks gave them. That should be illegal, but I am just happy it's over. "I sometimes think about people who are not as financially savvy as me, someone older or who has not had it happened to them before. They might get very distressed. "It's outrageous the bank did this, and I hope the mobile phone company is suingthe bank to try and get the money back." He adds that even now that it's all over, it's not really the end of the affair. "With an identity theft fraud such as this, you are still left in limbo, even though I have proven that none of it was my fault. "But luckily I have had no correspondence on this fraud for a few months now so I assume it's all cleared up." He adds that when it was all over he applied to check his credit report with a company, and was able to see his entire credit report on Equifax. "They have quite a good system where you can apply on line to get it. They were very efficient about it," he says. "Although the whole transactions have come onto my credit report obviously, I do not think it has affected it negatively. "That said, I wasted a lot of time and it was inconvenient. I still don't know how much money I could be out of pocket at the end of the day, and whether thebailiffs could still come knocking at the door!"